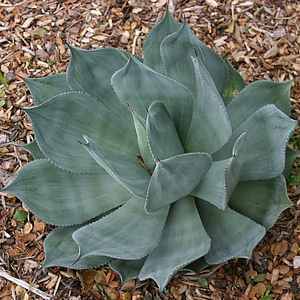 Beautiful blue-green agave from Mexico growing up to 60cm. in diameter. Sunny position in well drained compost hardy to about -4c. Protect from winter wet and hatd frosts.